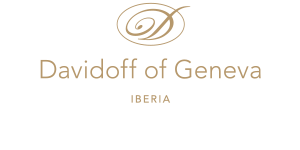 Davidoff of Geneva Iberia is a 100% subsidiary of Oettinger Davidoff AG that overlooks the business of the company across Southern Europe (Spain, Portugal, Italy, Greece, Andorra, Canary Island & Gibraltar). The main role of the company is to develop the business of Oettinger Davidoff AG across geographies with two different business models: direct through our sales team in Spain and Portugal and indirect via our network of distributors (Italy, Greece, Andorra, Canary Island & Gibraltar). In both business models, our role is to provide guide and increase the distribution of our products while developing our footprint at key retailers to increase both - sales and brand equity - coordinating with global marketing the launches of product innovations and securing the position of our products at key customers.